Do you remember Sassy magazine? Well, Jane Pratt is back with an online magazine/site called XOJane. I love this site. It’s self-referential, self-indulgent, totally meta, sometimes annoying, but overall awesome. The writers are women of various ages and experiences, and I can always be certain that I’ll find something interesting and/or hysterical. See, for example, the Raccoon Home Invasion story. Really, go. I’ll wait. Red lipstick demands extra time, and an element of precision on application, and that effort is poorly offset by a scraped-back messy bun and a pair of old cargos or tracksuit pants. Hmm, I thought, maybe I should go for it. 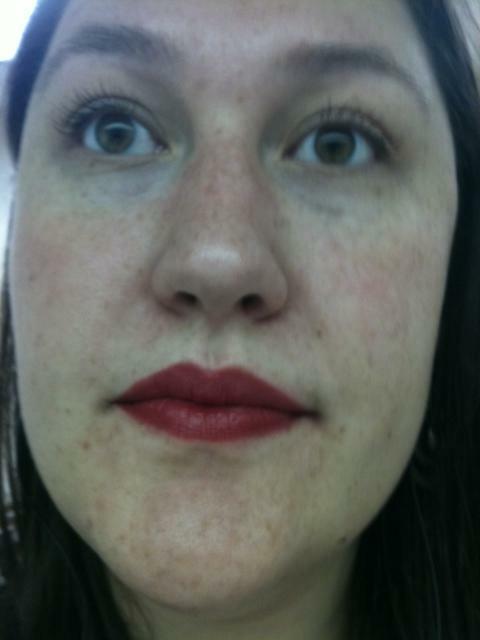 So yesterday, I stopped at CVS and bought a tube of Maybelline Red Revival, recommended by the author. ** Author Andrea runs a great blog site: Fox in Flats – Navigating Motherhood in Style. Yes, please. 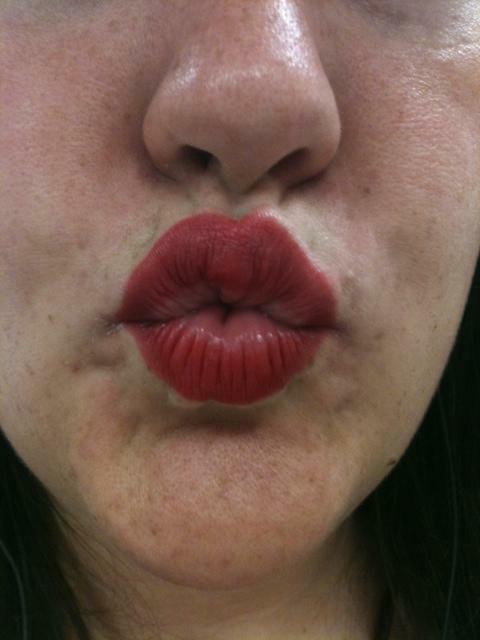 This entry was posted in just liz, Red Lipstick Dare by Southern Girl. Bookmark the permalink.